While the process of moving, itself, may be an incredible hassle, finding and learning about your new city doesn’t have to be as overwhelming as it may seem at first. Whether you are a history buff, lover of the nightlife, or anything in between, Atlanta, Georgia professes some of the most diverse and intriguing sites! Our friends over at Suddath have provided us with this in-depth look at what moving to A-Town has in store. With the nickname “the city in the forest”, much of Atlanta’s appeal lies in its nature reserves, gardens, parks, and the abundance of flora and diversity of wildlife. Considered to be one of the ten most progressive cities in the US, Atlanta exerts a moderate impact on global markets in many aspects. Others may also want to take into consideration the closest airports, childcare expenses, auto, home, and other maintenance fee increases or decreases, local pet laws, community centers and religious organization locations, and other lifestyle-dependent factors. There’s no doubt about it- Atlanta is a city for driving. Residents can expect to make good use of their vehicles, though the public transportation system is a prominent feature, as well. With its rich history and ever-expanding cultural diversity, Atlanta has proven, time and again, it is a capable and forward-looking city. 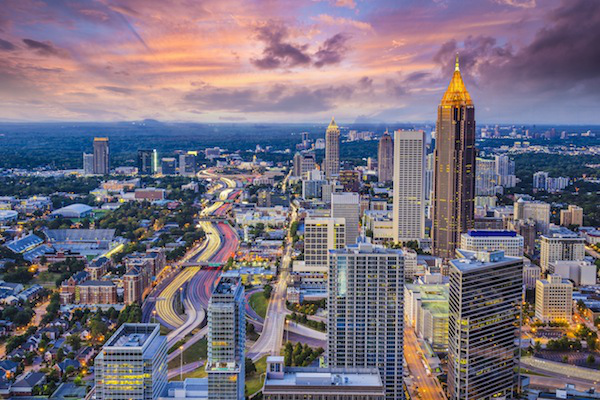 Having revolutionized much of the city’s societal concepts, along with promoting the diversification of industries, Atlanta residents and tourists alike can attest to its vast and powerful influence. There are many surface factors one might consider when deliberating on where to move in or near Atlanta. Of the entertainment benefits, one can expect to take advantage of close proximity to a Six Flags theme park, the State Farm basketball arena (home of the Atlanta Hawks), or festivals and fairs such as the “Attack of the Killer Tomato” and the “Flying Colors Butterfly” festivals. For those who are more interested in the day to day activities found in Atlanta, many will delight in the ability to effortlessly manage running errands thanks to the ‘hub’ of the city’s intelligent design. Whether you’re retiring to a warmer climate, relocating due to a career obligation, or simply looking for a change of pace, Atlanta has something for everyone. Sporting year-round nice weather, with the exception of a few snow storms in harsher winters, and only about an hour’s drive to the east coast, it takes no stretch of the imagination to refer to Atlanta as a modern utopia.